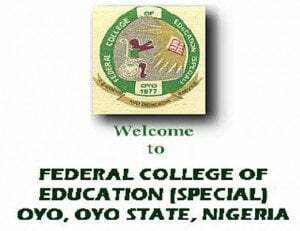 Authorities of Federal College of Education (Special), Oyo invite applications from suitably qualified candidates to their Third/Final Round Post UTME screening exercise that will hold on Wednesday, 28th November, 2018. Deadline: Candidates are to please take note that deadline for submission of the application for the admission screening on the College website is Tuesday, 27th November, 2018.
pls can i still obtain fces screening form nw? ?